The recent UK decision, which categorises drivers as employees, is already influencing workers on the other side of the world. A recent UK ruling which confirms Uber drivers are employees and not independent contractors is already sending shockwaves around the world, with some New Zealand workers questioning their employment status. The Central London Employment Tribunal's decision means more than 40,000 British Uber drivers will qualify for the national minimum wage as well as holiday pay, pensions and other perks. 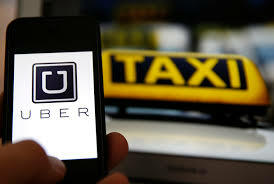 The ground-breaking case was brought by two drivers - James Farrar and Yaseen Aslam – on behalf of a wider group who argued they were employees of the San-Francisco firm and not self-employed, as Uber insisted. Ultimately, the judges agreed with the drivers. Experts claim the ruling will have wider implications in the UK, where companies with large self-employment workforces could now face increased scrutiny and legal challenges. Mackay, it seems, was right as the ruling is already making waves on the other side of the world. Ben Wilson, chair of the New Zealand Uber Drivers’ Association, says it’s reconsidering a legal suit which the organisation had previously avoided due to potential cost. "When the likelihood of winning a case gets that much higher, then the expense becomes a lot more justifiable," he told TVNZ. Wilson also revealed that the association has a number of disputes in the pipeline – “which will come out in the next could of weeks” – but confirmed it is not currently pursuing and employment law case, although further action is being considered.